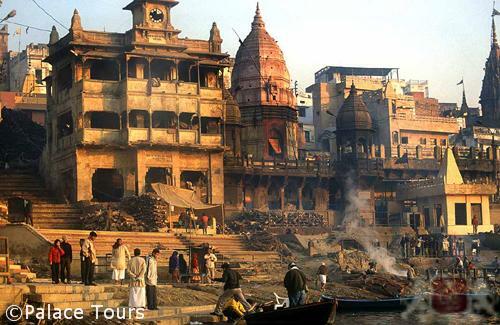 Living with the great questions of birth and death, Varanasi has never bothered to record its history. Its beginnings are lost in the mists of time. It was there when Jerusalem, Beijing and Athens rose and it has watched great cities like Nineveh and Babylon be swallowed by the sand. 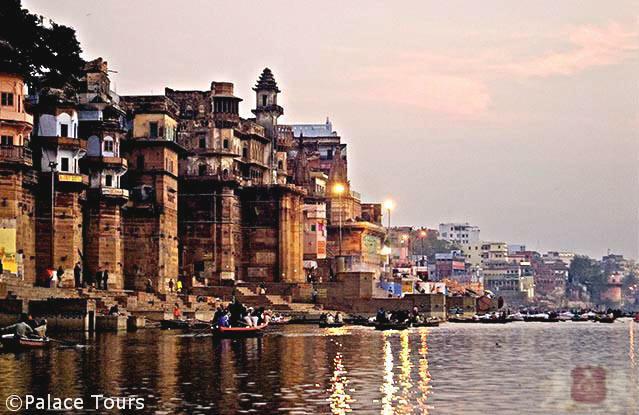 It is one of the oldest living cities in the world. 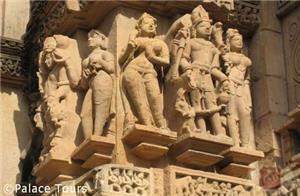 Khajuraho is famous for its magnificent temples dedicated to Lord Shiva, Lord Vishnu and the Jain Tirthankaras. These temples were built between 950 A.D. & 1050 A.D. and represent some of the most exquisite specimens of art and architecture in medieval India. Only 22 temples of the original 85 now survive. 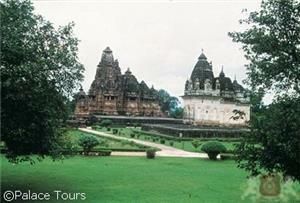 Fly from Delhi to Khajuraho. Upon arrival, you are met by a Palace Tours representative and transferred to your luxury hotel for check-in. This afternoon, tour the ancient Jain and Tantric temples, where intricately-carved poses, sculpted by the religious devotees, cover the shrines. Enjoy dinner and an overnight stay at the hotel. After breakfast at the hotel, transfer to the airport for your flight to Varanasi. You are met upon arrival and transferred to your next sumptuous hotel. This afternoon, enjoy a tour of Sarnath, where Lord Buddha revealed his enlightenment to Nirvana. Dinner and overnight are at the hotel. 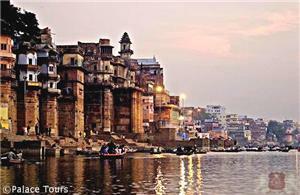 Embark on an early-morning boat tour on the Ganges River, whose holy waters draw thousands of pilgrims every year. This remarkable tour shows the cleansing baths and burning cremation ghats of Hindu funerals. 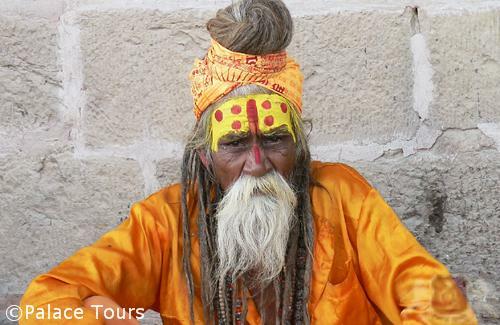 Return to your hotel for breakfast followed by a tour of the Hindu temples to which this ancient town is dedicated. Among the most famous is Hanuman Mandir. Later, transfer to the airport for your afternoon flight to Delhi. Upon arrival, transfer to the international terminals for your departing journey or to another beautiful hotel for one more night in Northern India. 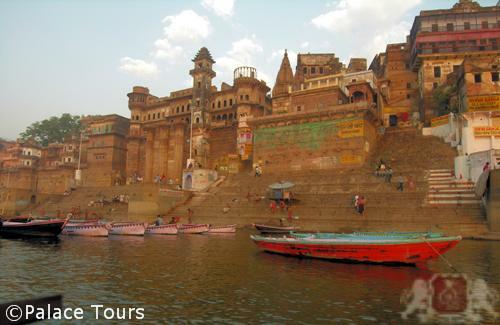 This tour departs every Sunday, Wednesday, Thursday, Friday, or Saturday. This tour is available in two classes. The services in both classes are the same; the only difference is the hotels utilized. What cultural customs should I keep in mind when visiting temples? We highly recommend you avoid wearing leather at any time. Please be aware that when visiting temples, it is recommended to fully cover your legs and shoulders. You will also be required to remove your shoes inside the temples and we suggest you carry the shoes with you (do not leave them at the door).